Friday Hotness... time for a run? Gay Bowling team names are hilarious! State Farm Mutual Insurance Company said it plans to stop handling claims for the National Flood Insurance Program but will continue writing policies. The Bloomington, Ill.-based insurer is the largest administrator of NFIP policies, serving over 800,000 customers nationwide—40 percent of them in Florida. Under the new system, State Farm agents will handle reports of claims for policies where State Farm provides homeowner’s coverage as well as writes flood policies. But claims will either be handled directly by the Federal Emergency Management Agency or its designee, according to Phil Supple, a State Farm spokesman. 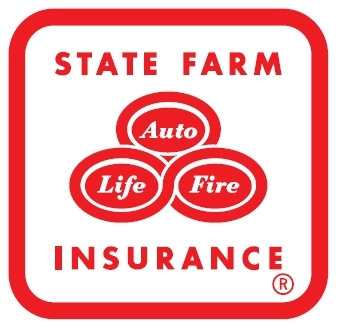 State Farm said in a statement it is dropping out of the program because of numerous stop-starts to the program since 2002, and because procedural changes in claims handling are forcing it to divert too much of its resources to the program. According to FEMA spokeswoman Rachel Racusen, existing customers will not be affected by State Farm’s decision. Both new and renewing customers will be able to obtain federal flood insurance through a State Farm agent “or one of the other 90 insurers that sell flood insurance through the National Flood Insurance Program” after the program is renewed. “What’s important to keep in mind is that homeowners will still be able to take the steps needed to protect their property from damage in the event of flooding or another disaster,” she said in an e-mail statement. FEMA said State Farm has 829,273 policies as of March 31. There are over 5.6 million NFIP policies as of May 3. State Farm announced its new policy against the background of another lapse in NFIP authorization. The House passed legislation on May 28, before it went into 10-day recess, that reauthorized the program until Dec. 31, but the Senate will not act on extending the NFIP and other lapsed programs until later this week. Without congressional approval, the NFIP cannot issue new policies, allow agents to change existing policies, or renew existing policies. A House Financial Services Committee bill reported out on April 27 (H.R. 5114, the Flood Insurance Reform Priorities Act of 2010) would reauthorize the program for five years and makes other changes and reforms. Reforms include phasing in actuarially sound rates, eliminating subsidies, and increasing coverage limits available to homeowners and businesses. The House could take up the measure early this week. Two other bills dealing with catastrophe issues also passed the panel at that time and are awaiting House floor action. In justifying its decision, State Farm said that servicing NFIP applications and claims has had an impact on the company’s resources. State Farm noted that since 2002, there have been 11 last-minute reauthorizations of the NFIP, and on four occasions the program was allowed to lapse. “These ‘stop-start’ situations require a large company like State Farm to dedicate significant resources to coordinate numerous communications with customers, employees and its more than 17,000 agents,” the statement said. Under the new policy, State Farm Fire customers’ flood policies will be transferred to the NFIP over a 12‑month period after the company’s current arrangement expires on Sept. 30, Mr. Supple said. Policyholders will receive notice at least 90 days prior to their policy’s expiration date, he said, adding that the transition is expected to be completed by April 2012. State Farm has also been seeking to disengage itself from areas in Florida that are hurricane-prone, deciding to continue to provide homeowner’s coverage in Florida only after a prolonged battle with the state that resulted in a decision to reduce, rather than totally withdraw from the state. But, the compromise allows the carrier to stop providing homeowner’s coverage from properties along Florida’s hurricane-prone coastline. However, it currently is responsible for administering flood claims in many of Florida’s coastal areas. The National Association of Professional Insurance Agents, responding to the news, blamed Congress for State Farm’s action. The changes will be effective January 1, 2010 for new and renewal business. Their overall indicated rate level need is an increase of 4.9%. Why Farmers for your Business insurance?